Linnaeus University's alumni network Lnu Alumni is for you who have finished your studies, or is about to finish your studies, at Linnaeus University or at the former Kalmar University or Växjö University. The alumni network is for you who wants to stay in touch with your fellow students and get information about the further development of Linnaeus University. If you are already a member of the alumni network you will, of course, stay a member but in the future you will also be a part of Linnaeus University's alumni network. By becoming a member of the alumni network at Linnaeus University (Lnu Alumni) you become a member of a network that is both a social and a professional asset. You can get in touch with fellow course mates with whom you have lost contact, find new professional contacts, and stay updated about what is going on at Linnaeus University. You can add other alumni in the network as contacts to get information automatically when they update their profiles – if they, for instance, move or change jobs. 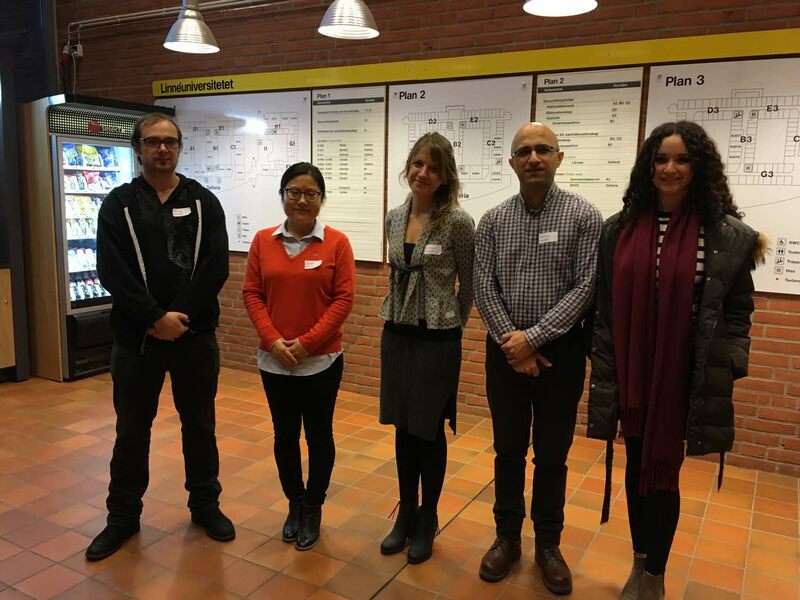 The alumni network is also important for us at Linnaeus University. Your experiences from your time as a student and from working life are interesting for both students and members of staff to take part of. Some of our alumni come back as guest lecturers or mentors for our present students. Others welcome students to their workplace on study visits or in connection to degree projects. Your views are also very valuable in the development work of the programme you studied. Last but not least – joining the alumni network is free of charge! want to have a wide circle of contacts in your professional life from the start. want to stay in touch with your fellow students. want to stay updated about what is going at Linnaeus University. want to get information about job opportunities and other unique offers. The word alumnus comes from the Latin alumnus, meaning disciple or protégé. The origin of the word is the Latin alere, meaning rear, raise, nurture. There is evidence of the word occuring in the Swedish language at least since 1835. Nowadays, alumnus is the conventional term for former students. If you are a former student from Linnaeus University you are welcome to receive guidance and planning even during your current career. As an alumni, you can get the same career guidance offered to students. Lnu Career offers personal guidance, lectures and workshops. For example, you can get help with training for upcoming interview situations, career planning, CV review and personal letter. As an alumni from Linnaeus University you are welcome to the University Library. You can borrow books, read printed newspapers and magazines and use study environments. If you visit the library you also have access to databases via some of the computers. 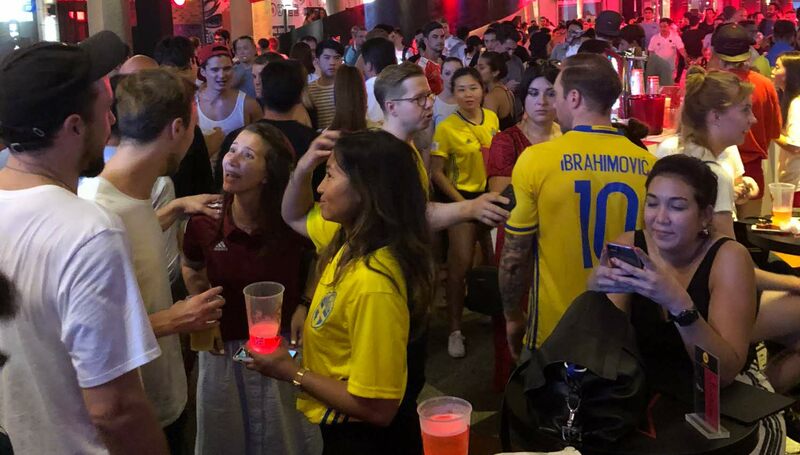 During the World Cup in Russia this summer the SANC (Sweden Alumni Network China) arranged events during all of Sweden's games. They arranged activities related to all of the games spread over a number of cities e.g. Beijing, Shanghai, Shenzhen and Hong Kong. Alumni from all Swedish universities join the events among them many alumni from Linnaeus University. Some of the events standing out were during the Sweden Switzerland were both two counties embassies invited alumni's to watch the game together in Switzerland's embassy. Also in Shanghai got to be something of a tradition where 30-40 alumni meet to watch every game together at the same bar. This in hope that the good performance by the Swedish team would not be jinxed as long as they meet there. 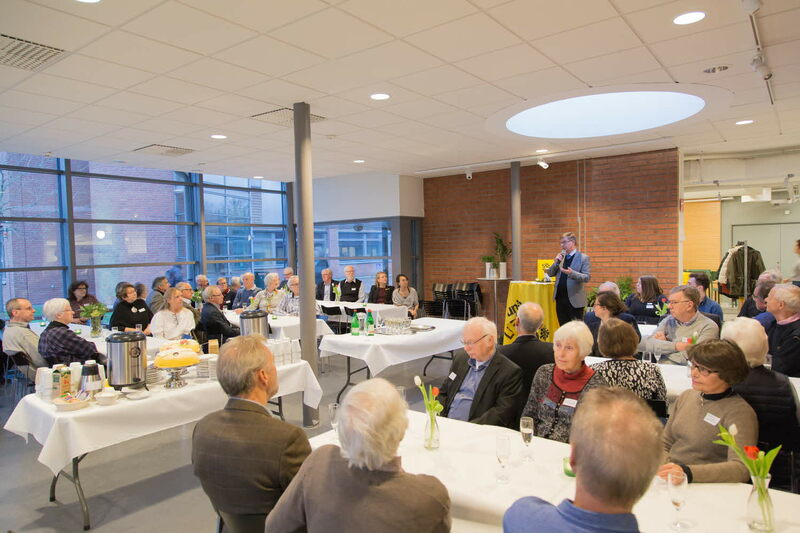 On December 1, 60 of Växjö's first students on campus met for an alumni anniversary, when Professor Peter Aronsson was inaugurated as vice-chancellor. In 1967, the university branch of Lund opened in Växjö with about 200 students and it was the starting point for higher education in the region. The alumni who participated in the jubilee were pioneers and contributed to what Linnaeus University with its 32,000 students are today. – Many of the alumni talked about the advantage of being able to start studying at home and not having to move, and that they then stayed and worked in the region. They still have a lot of memories of their student time, says alumni coordinator Kristina Julin Nyquist. The university are now looking forward to see what the next 50 years brings. Aylin Cakanlar, from Turkey, PhD at Stockholm University. Ali Reza Hajilou, from Iran, Entrepreneur in Växjö. Selin Dönmez, from Turkey, Engineer at Volvo Braås. Kevin Dalli, from Canada and Malta, Head of R&D AvBIT Labs. Annie Wang, from China, Audit Associate at PwC. Alumnus from different countries, backgrounds and branches, who have successfully started their career paths in Sweden shared their experiences with present student for career inspiration. Thank you all for coming to the Career Inspiration Day for International Academics. We hope that you liked the event and improved your networking skills. We are very glad that many of you showed a great interest for Career Inspiration Day. We are looking forward to seeing you in our upcoming events. March 2017. 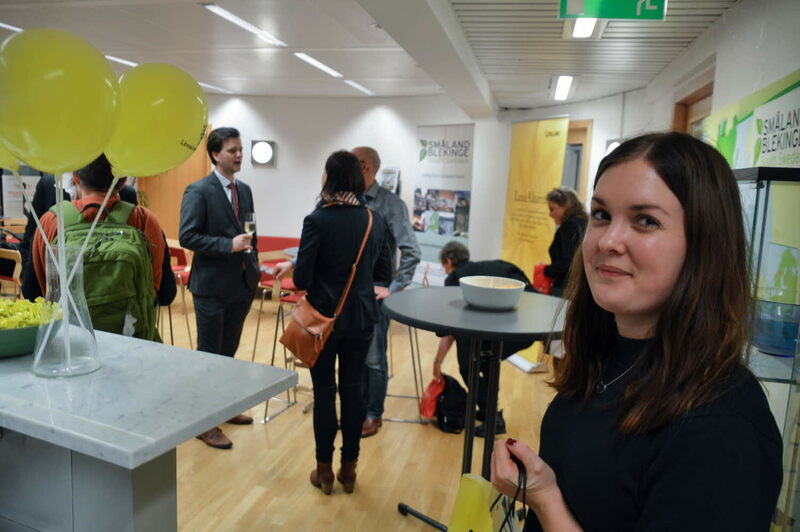 Alumni event at Småland Blekinge Halland South Sweden European Office in Brussels. What were the main activity(s) during your local SI Alumni Event? 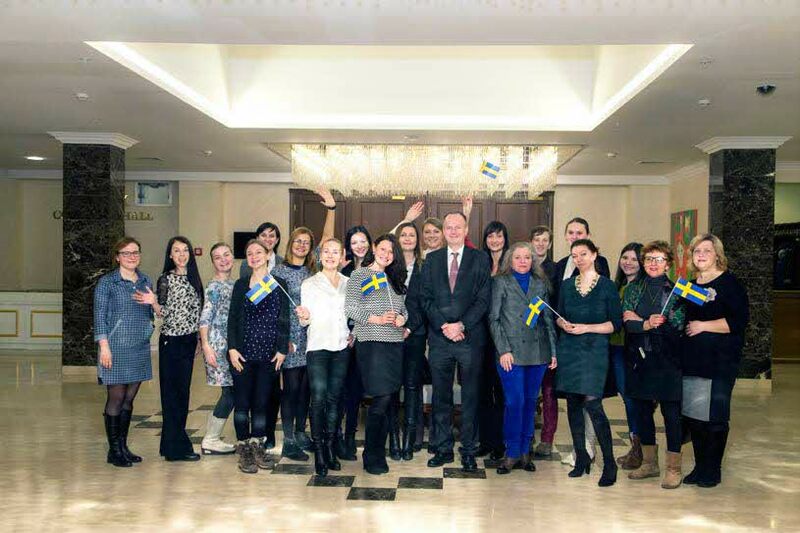 On the 14th of December SI Alumni Belarus and women from governmental, educational and private institutions from Sweden and Belarus gathered together for an interactive event dedicated to empowering women to develop and achieve full professional, business and leadership potential by contributing expertise and taking the opportunity to learn from each other. Ambassador Martin Åberg has welcomed the participants with inspirational words and wishes for success in their career development and educational path.